Paperback version of the #4 New York Times best-selling hardcover. This title is the third and final book in the latest trilogy from R.A. Salvatore, which once again features his popular dark elf character Drizzt Do’Urden™. 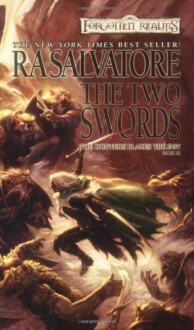 The hardcover release of this title had the highest debut ever on The New York Times best seller list for a Salvatore title with Wizards of the Coast at #4. The title stayed in the top twenty for five weeks. Both of the previous titles in the series were also New York Times best sellers upon hardcover release, and the first title, The Thousand Orcs, hit the list upon mass-market release as well.